Happy 13th Birthday Technodrome! To the home we call the drome! Best TMNT site ever! Wake up and smell the pizza! Last edited by master; 11-21-2012 at 08:58 AM. Happy happy birthday! 100 more years to go! A german turtle maniac found his homebase! Krang keep up the great work, cowabunga to all you guys! Happy Birthday, I love this forum! Happy Birthday from me also. I think it is hard to keep up forums nowadays.. they have to be established to beeing well visited. Technodrome is the main-forum for turtles fan all over the world..so it seems. Glad to see that this awesome site is still online and going strong! Last edited by Shiro Kame; 06-11-2014 at 05:03 PM. memories. here is to another 13 years! Haven't been here long myself, but I do enjoy it here a lot. Happy birthday, Technodrome Forums! I just became a Foot Soldier. Cool! I'm of the same age with TMNT. How cool is that? 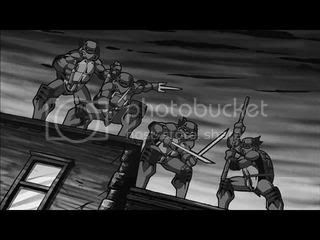 Happy 30 years of Cowabunga!